For anyone watching online: Youtube > Twitch. Twitch's performance is a disgrace. Yeah I often have issues with Twitch and lag and prefer Youtube. EA was a bit of a mess. I caught up on it after and the NFS youtube introduction was just terrible. I never care for EA, even Bioware's new game is kind of meh so far...especially since I found out its probably gonna be an online game like Destiny. I'm not really sure they could build character and relationships with them in that sort of game, which is what I like Bioware for so I'm not really excited. I do kind of want Battlefront 2 lol, but I feel conflicted. A WAY OUT is a cool co-op concept. It's refreshing to see since you hardly see couch co-op games anymore. Oh yeah, I agree. I can't tell if I'm into the characters though...which is kind of important to me. This was the best thing shown at the conference by far. They went on that big bit about BF2's story mode and then showed barely anything of it. I bet it'll be shown at Sony's conference. Scorpio will apparently cost $499. Ouch. Whenever I see the art I'm waiting for Carry On Wayward Son to start playing. Looks like Microsoft have the marketing for Assassins Creed Origins this time. Most of these appear to be timed exclusives or not exclusive based on the wording. Maybe it's my personal opinion, but most of these games don't interest me. They didn't show me why I need to buy an Xbox One. Sea of Theives looks crazy fun though. To get the Asian market buying the new Xbox console to play Japanese games. Xbox may have approached them about it while Sony didn't. It could be that simple or it could be overly complex. That game isn't really a system seller anyway, but it does look great. Xbox conference was meh. I've loved it in the past, and while the number of games shown was impressive, most of them did not even look that good, and their best looking game, Anthem, which looks really cool, isn't an exclusive and we barely got any details. It's really cool Minecraft made themselves look relevant at the conference though. Cross platform play will be incredible if it works well. Xbox One X has been hyped up for a year, but they provided little incentive to pick it up. Other games will have support, but in terms of actual games around the lunch we got the awful-looking Super Lucky's Tale and Crackdown, which didn't impress. Again, Sea of Thieves looks great, as does Cuphead. Cuphead is the one game this gen that I want more than anything to be on every console. I might have to pick it up on Steam. I'm excited for Bethesda's conference tonight though. Upon checking out the Assassins Creed Origins... I really want to like it, but the gameplay, I can't tell if they let us choose how to fight someone like in Assassins Creed 2. It kind of looks like it until they do the same combination of attacks to get the enemy down. Which won't get me to buy it if it's anything like the current AC titles. Otherwise it looks like it'd be a fun story to dive into. 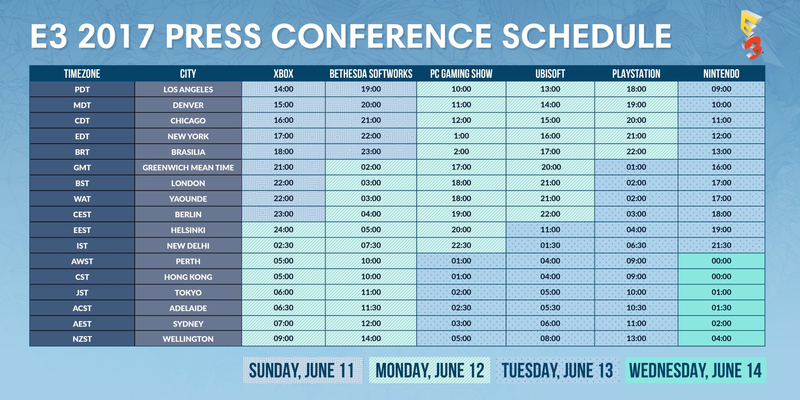 What do y'all think Bethesda will be showing? I reckon it'll be Skyrim for Switch, and hopefully a new Elder Scrolls. There was more Switch stuff shown at the XBox show than at EA. That is hilarious.